*Disclaimer - I participated in an Influencer Activation Program on behalf of Mom Central Consulting for Huggies & Target. I received samples for this review and a promotional item to thank me for participating. The review is written by a good friend of mine who has a 4 month old daughter, to help me facilitate this post. For the campaign, I received the Target gift card in the mail but because I was going to be giving it to my friend, I used it to order the diapers online and had a very good experience with ordering. The size she needed was in stock, so there was no issue with sizing being available. - You should give your baby unbeatable skin care with all NEW! Huggies Little Snugglers Diapers! - There is a new Gentle Absorb Liner for a cushiony layer of protection with hundreds of tiny absorbent pillows to help draw mess away from your baby's delicate newborn skin. - Did you know that your hug is the first thing your baby feels? You should make sure the second hug feels just as good. Do you have a baby registry or want to make one? Then feel free to go to the Target Baby Registry to create one that friends and family can purchase for you! 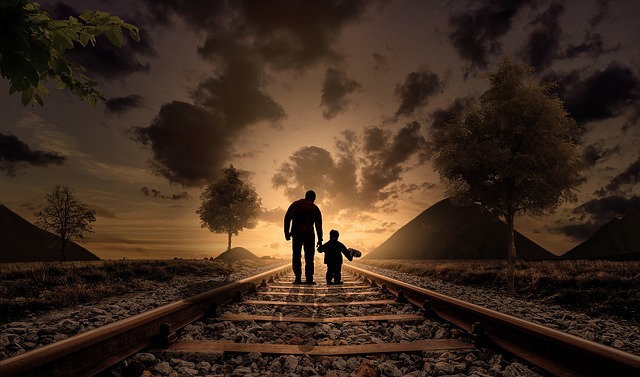 Have you registered yet for a wish page? If not then go to the Huggies Register Your Wish Page and do so. If you'd like to see their website for yourself to see what they offer, go to the Huggies Little Snugglers Site. 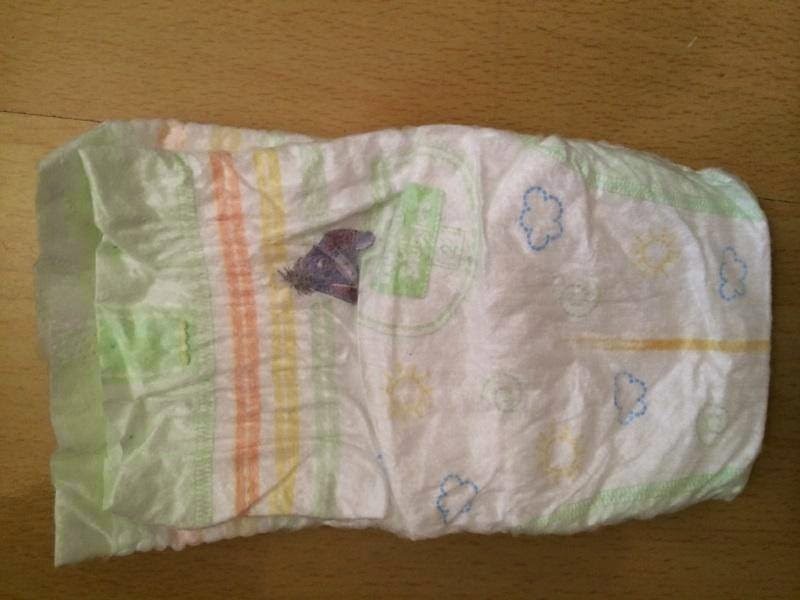 "This review is for Huggies Little Snugglers diapers. This review is based on 2 weeks of use. 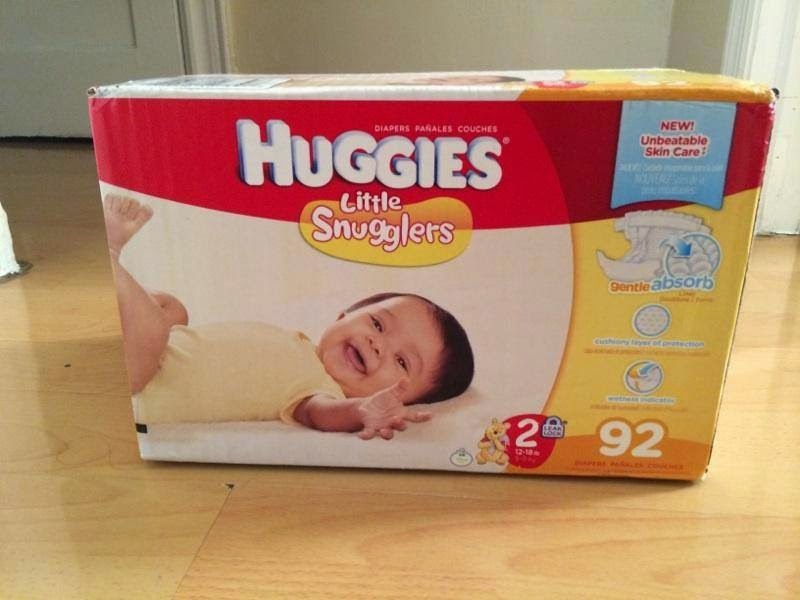 I received a box of Huggies Little Snugglers diapers Size 2 and it brought 92 diapers. I do not normally buy this brand of Huggies because it's a little more on the expensive side, so I was very excited to do this review. Upon opening the box, I saw the cute Winnie the Pooh design and when I took it out of the packaging I felt how soft and snuggly the material felt. My daughter needed a diaper change so I immediately put them on her. 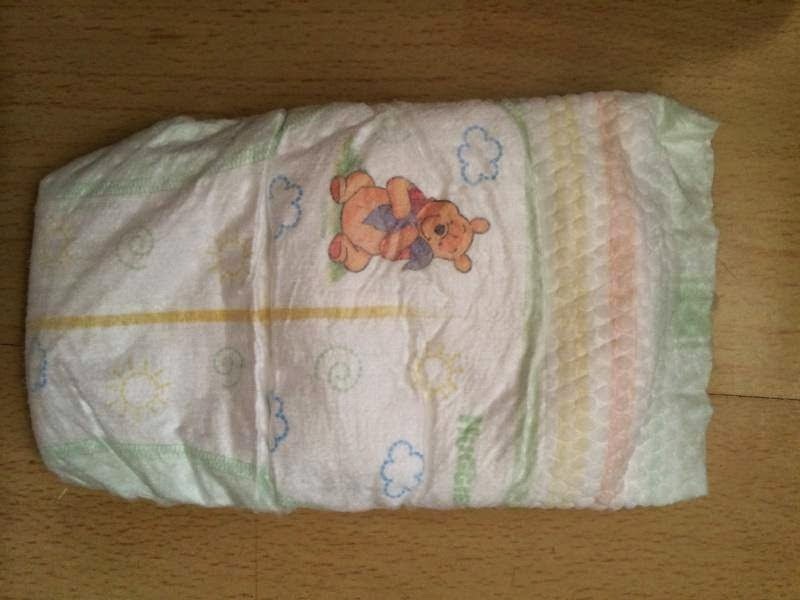 The size of the diaper was a 2, and used for babies between the 12-18lb range. However, my daughter is only between 11-12lbs and they still fit pretty good. 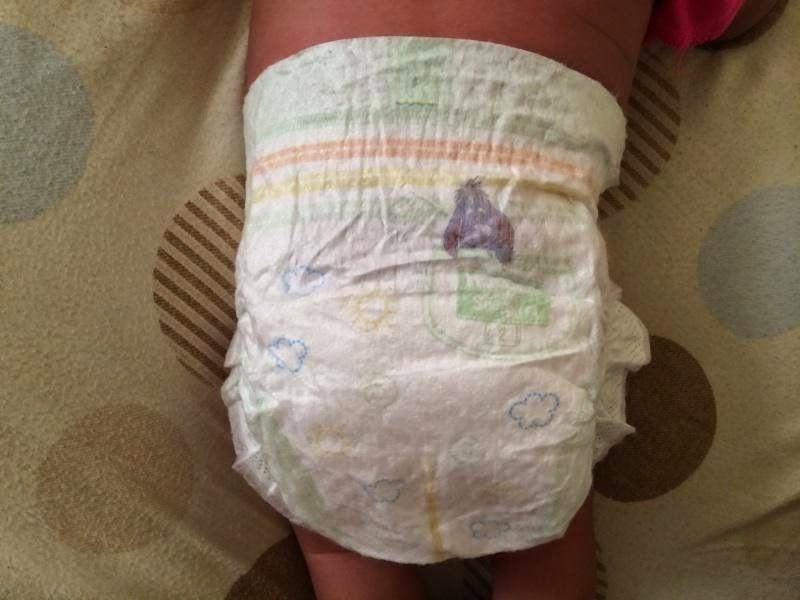 The diaper has an elastic waistband which prevents from leaks going up the back and it seemed very roomy and comfortable going over her chunky thighs and big belly. She was 2 1/2 months-3 months old during this review and she drank 6oz every 3 hours, so I knew a diaper change would be happening soon. The 1st diaper change she was very wet. The first thing I noticed was the wetness indicator turned from yellow to blue. This is definitely a nice feature to have so you can immediately tell when baby needs a diaper change. She had a few more wet diapers before bedtime and I was definitely getting used to the wetness indicator. I put my daughter down at 9:30pm which was right after her bottle. She was already sleeping through the night, so I was anxious to see how the diaper would hold up come morning. She woke up around 6am and her diaper was so full, yet there were no leaks. Her mattress was dry and so were her clothes. 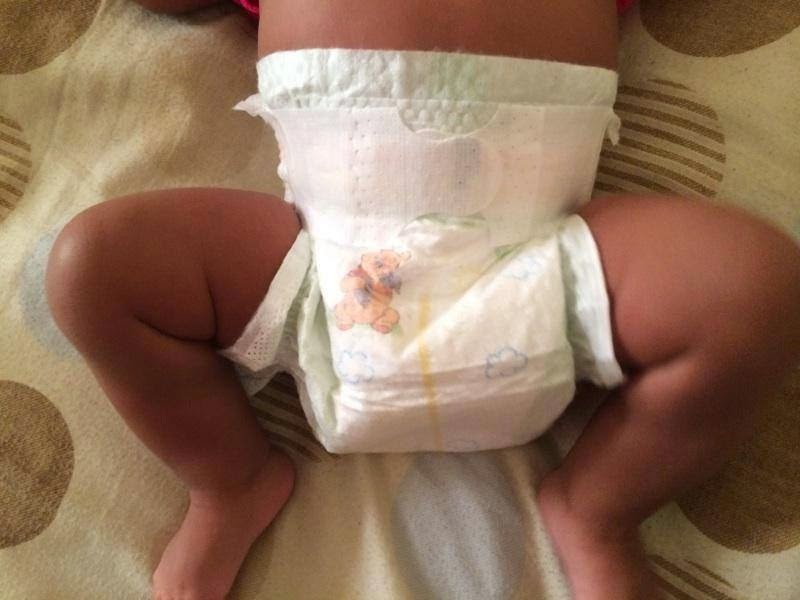 I couldn't believe how much one diaper could hold. I was extremely happy and so was my daughter because she was all smiles. The true test came when it was around the time for my daughter to move her bowels. When she did, surprise!!! No leaks again!! And the elastic waistband, did it's job with preventing poop from going up her back and making a huge mess. I was sold after having her in these diapers for less than 24 hours. 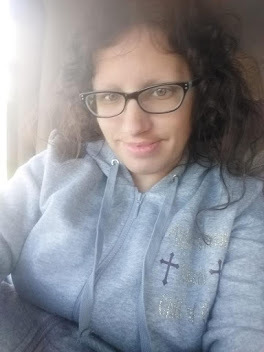 I have used Huggies Snug & Dry (Mickey Mouse Characters) on my daughter and although they are a very good diapers as well, I feel Little Snugglers holds more absorption. 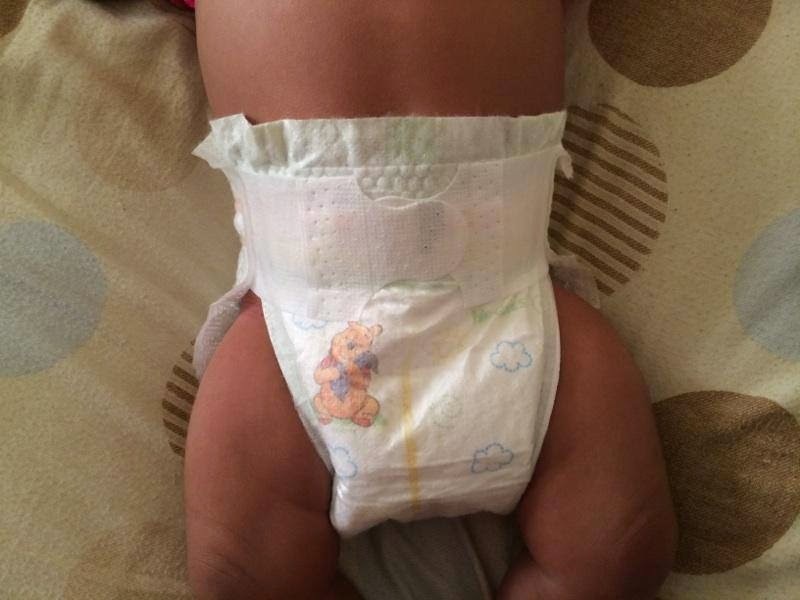 Overall, I was very satisfied with this diaper and my daughter was too!"